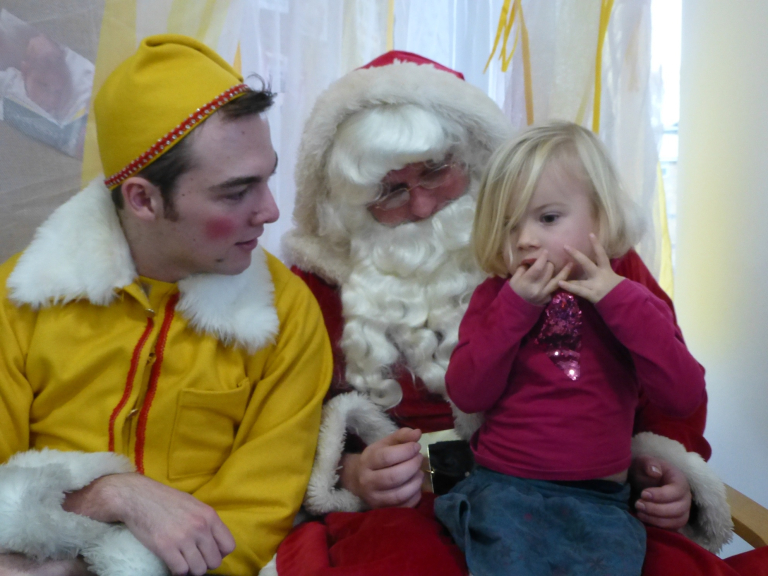 Santa visits local nursery celebrating its first birthday! 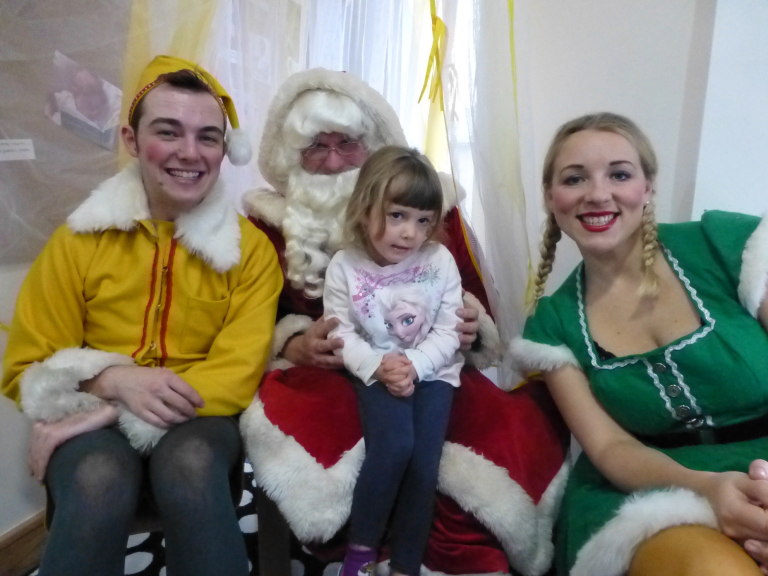 Santa Claus and the Night before Christmas will play a festive season at Epsom Playhouse from 4 to 24 December. 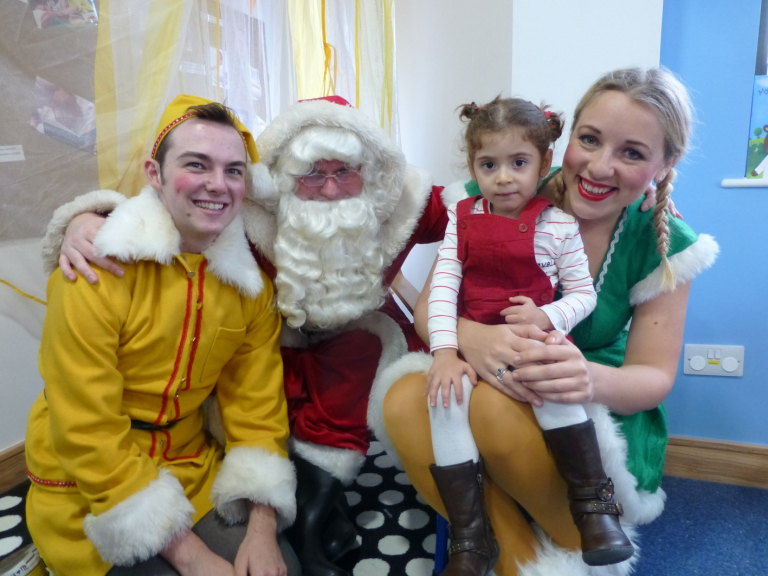 An ideal introduction to theatre, this interactive show is a must-see, unforgettable experience for younger children age 2+ which includes meeting Santa after the show and receiving a very special gift. 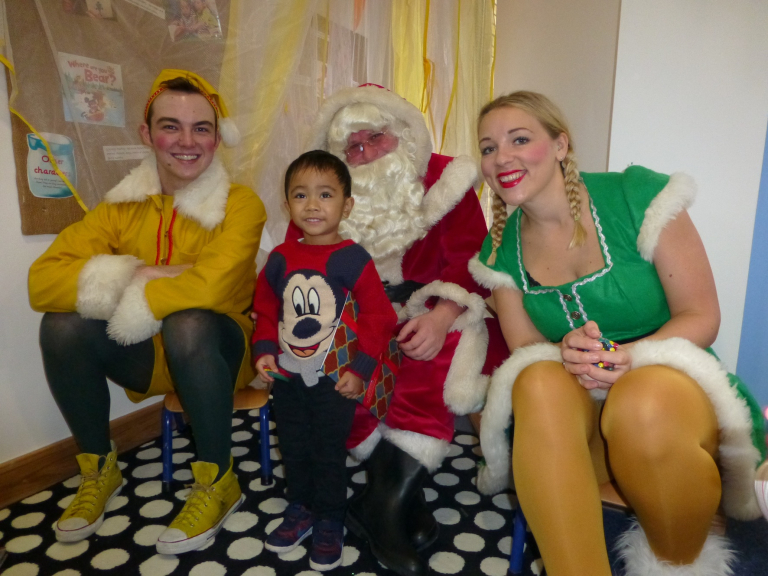 To spread some festive magic, Santa and his elves made a special stop at Fennies Nursery to deliver some gifts before arriving at the Epsom Playhouse. 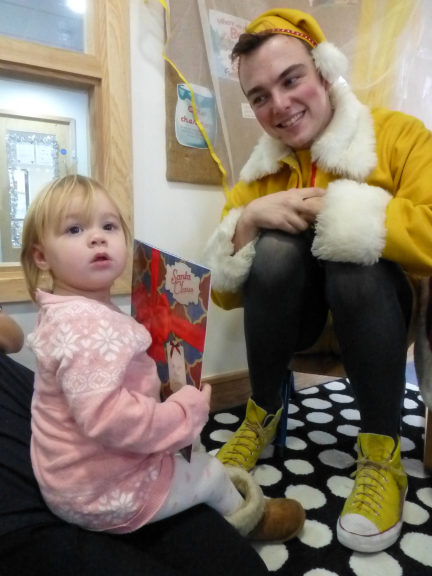 They met children and staff who were delighted with their visit. 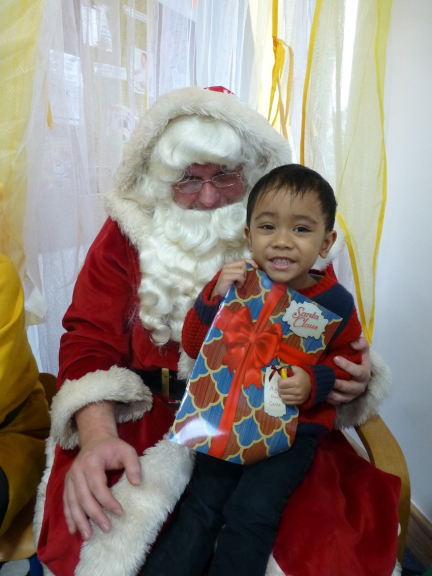 Each child was given a colouring book and crayons by the festive celebrities. Fennies Nursery has proved popular with local residents, parents commuting into London by rail, and offers drop-off car parking spaces for those who need to drive. The nursery has spacious, well resourced rooms for babies, toddlers and pre-school children, and a wonderful secure outdoor play area. 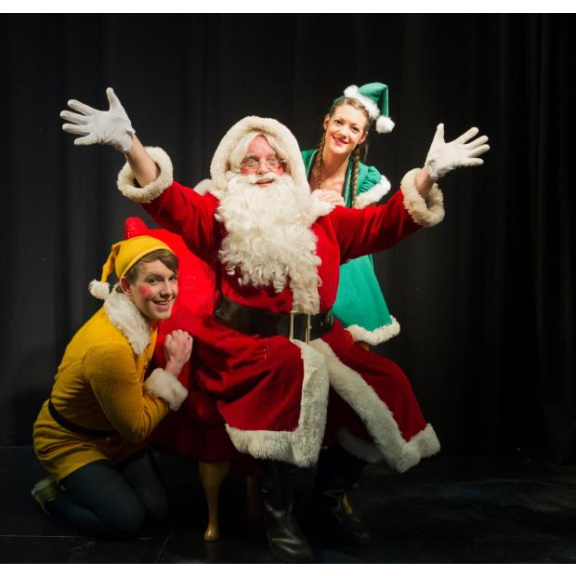 Tickets Santa Claus and the Night Before Christmas are £10.50-£14.50 and are on sale now and can be booked at: www.epsomplayhouse.co.uk or by ringing the Box Office on 01372 742555/742227. Suitable for children aged 2+. Running time: 70 minutes with no interval (including meet and greet with Santa Claus). *Full parental consent has been given to use these images.